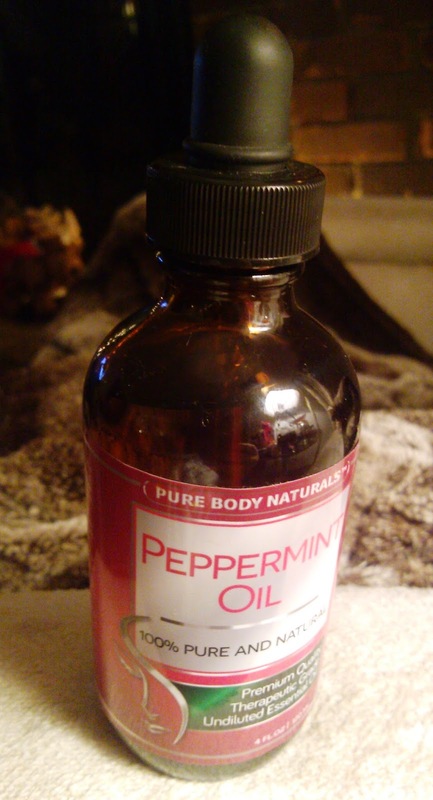 Peppermint Oil by Pure body Naturals is 100% pure steam-distilled essential oil without dilution or additives. It's therapeutic grade, non-toxic and highly concentrated. The oil comes in a huge 4 ounce bottle with a dropper for easy use. Just one or two drops are usually all you need since the oil is very strong, so a 4 ounce bottle will go a long way. Peppermint Oil is known to relieve headaches, ease respiratory problems, sooth upset stomach, and reduce joint pain and arthritis - among many other things! The main way I've been using it is to help with colds; My grandma always told us to put Vicks on our feet before bedtime to cure a cold, but peppermint oil works 10x better! Tuesday I was so miserable with sinus pain, congestion, headache, an fatigue so I decided to experiment and put 2 drops of this oil on the bottom of my feet before bedtime. I promise you, Wednesday morning I felt amazing! It was so weird until I realized that it was the peppermint oil that did the trick. I've been putting it on my feet the rest of the week since to keep the cold at bay. It's also great to put a tiny drop under my nose to open up my sinuses. It also works to put peppermint oil into boiling water for a sinus-clearing steam. Technically you're supposed to dilute essential oils with coconut oil or another carrier oil before putting on skin, but on the bottoms of my feet I have no problems. I did try to put a drop on my stomach when I didn't feel good, but my skin got too tingly so I would recommend using a carrier oil in that situation. It also works great to rub a drop or two (diluted) into temples to help relieve headaches, since peppermint oil relaxes the strained blood vessels. I haven't tried this yet but it's also known to prevent rodents and insects like mosquitoes, bed bugs, ants, roaches, and spiders. It's natural and non-toxic so it can be used around the house and garden to repel these creatures. Overall, this high-quality Peppermint Oil works wonders on colds, headaches, and digestive issues as well as many other ailments, plus it comes in a huge bottle to last a long time.